We were on our last leg of the Srilankan holiday. We left Unawatuna that morning and drove towards Galle before heading down back to Colombo. 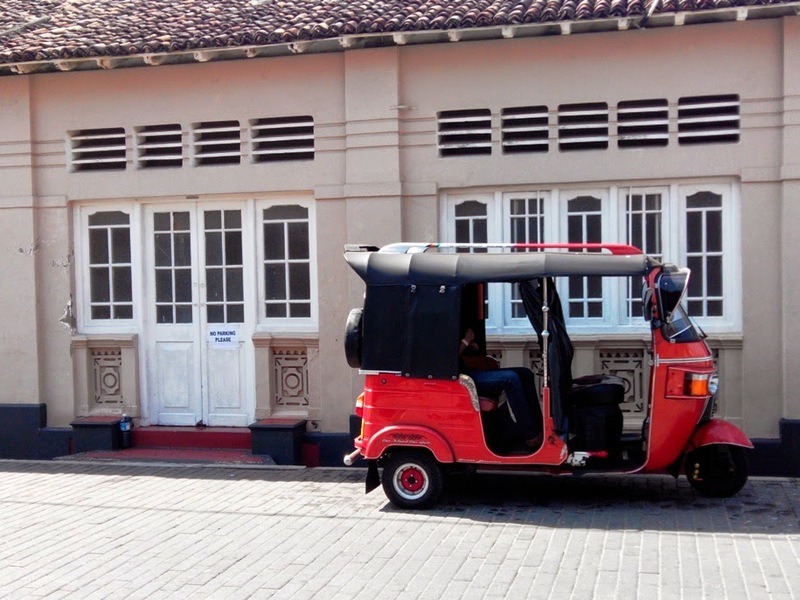 Along the way, we decided to take a small detour and visit the Galle fort area. The cab driver also chimed in saying the place had some interesting architecture and quite a few shops as well. We drive inside the Fort entrance and stopped near the Fort wall. My friend and I hopped out and walked along the wall, watching the ocean, with calm waves and a man walking into the ocean to fish. The water was a beautiful emerald colour and seemed quite shallow as well. 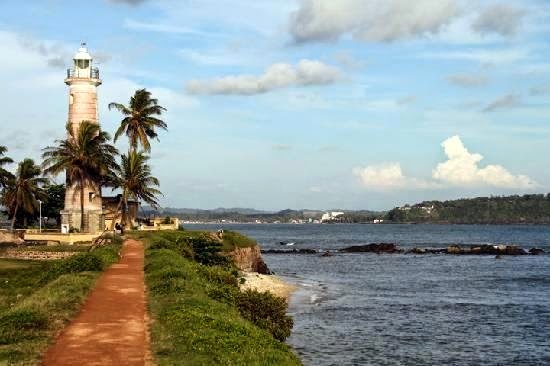 Located in the Bay of Galle along the southwest coast of Sri Lanka, the Fort was built back in 1588 by the Portuguese, but then over time it was fortified by the Dutch when they ruled the region around the 17th Century. It has been over 423 years and even today the Fort stands tall and majestic. 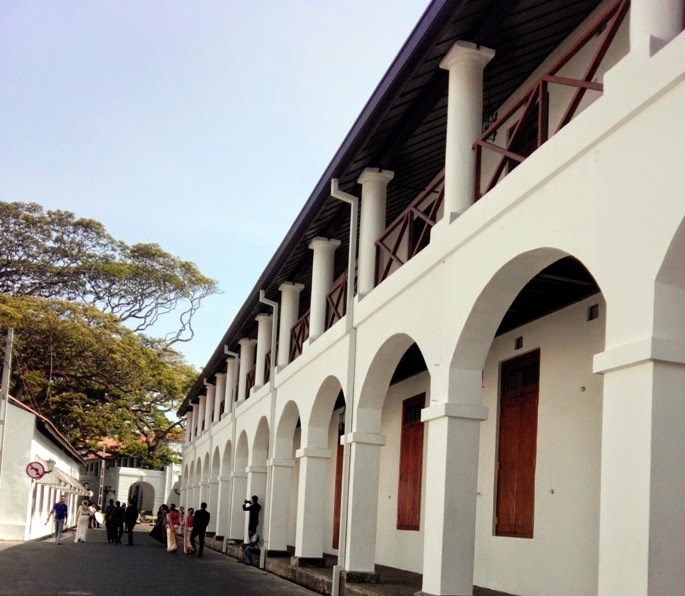 It is now protected by the Archaeological Department of Sri Lanka. What was amazing about the place was that quite a few buildings were still owned by the Dutch and the center has been recognised by UNESCO as a World Heritage Site. This very Fort has not only stood the test of time, but also survived the Boxing Day Tsunami. As we drove around the place doing a full circle, we saw the Lighthouse, Court house and a Hospital. The day seemed to have been an auspicious day for we saw quite a few couples getting ready for marriage or newly married. And then along with them there was always a group of bridesmaids and best men, all dressed in matching outfits and traditional srilankan attire. The bride and groom were decked up, the bride in a white saree with jewellery that hung down her neck like curtain, while the groom in a beautifully embellished jacket studded with stones and what not [shall get the pic from friend and post it here].